YouTube Comments were dramatically changed last week. They now use Google+ as the commenting engine which has changed many things on YouTube. 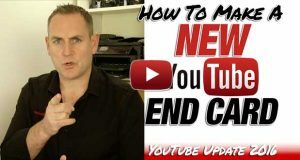 As the dust settles and we now begin to see what we can and can't do with YouTube comments, there has been a lot of confusion about it now possible. 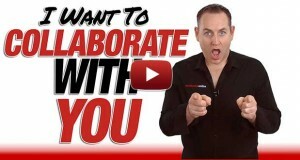 This video shows you how you can now comment on both YouTube and Google+, or vice versa, through the new commenting system on YouTube. With Google+ now running almost everything on YouTube, apart from the videos, it's now an integral part of the platform for everyone, especially those who want to leave comments. As many people were forced to connect to Google+ because of the update, they now wonder what to do on YouTube and where else their comments show up. So we'll go through what happens here, and in this video. After this recent update, there is a lot of extra functionality with YouTube comments now. Probably the first thing you'll see on there is that you can now share your comments on Google+. You can also make your YouTube comments public or private, using individuals or your own Google Plus Circles. It will default to Public when you go to leave a comment and you can add Circles to the list if you want, so those people will be notified you've made a comment. As on Facebook and Twitter, you can now tag people in your comments too. You tag them with an @ or + sign before their name when you start typing, and then continue to type out their name. As you type, Google+ will being up names for you to select. It will come up with those in your Circles first, and then people on Google+ itself. If it doesn't come up with the right name as you type, keep typing til it does. You can also leave Hashtags too within your comment, just like Twitter and Facebook again. Another addition that wasn't possible in YouTube comments before is the ability to add URL's into comments. Previously it was only possible to add them in the Description. So if you wanted to have a link to another of your videos, you could only put it in the Description and then tell the person on the comment to go to the Description and click it. Now it's possible to give them the link directly within the comment, thus saving the other person time looking. The downside of this is that spammers are already at it spamming YouTube with all their links to their spammy little sites. This is something YouTube and Google+ will have to constantly work on so that comments don't get overrun with Spam. When you make a comment, and leave the check box on for sharing on Google+, your comment will appear on your Google Plus page, along with the thumbnail of the video. Now your video is being shared across platforms so you're getting extra Google Juice. You can disable replies, which stops people from replying back to your comment. This is helpful when you just want to make a statement on a video, especially one of your own, and you don't want any replies to it. When you've edited your comments, just click on Save and you're done and it will update on YouTube and also Google Plus. If you write a post about a video on Google+, that will become a comment on YouTube. It will appear on in the comments area of the video, as if you left the comment on YouTube in the first place. You have the same ability as you do when you put it on YouTube. You can keep it as private or as public as you want. With the way the commenting system is set up at the moment, the most recent comments don't automatically appear at the top. The most popular comments appear, so your comment could be buried at the bottom. To see the latest comments, you select Newest First from the dropdown to at the top of the YouTube comments area. If you share a comment with an individual or a Circle either on YouTube or Google Plus, on they will see it. It will have “Shared Privately” on the comment, denoting that only they, or the selected Circle, can see it. This is the first part of a 4 part series on YouTube Comments with Google+. If you're a YouTube Creator and you're wondering how to best manage your YouTube comments on your Channel(s) stay tuned for the following video on how to manage comments on your YouTube Channel. And that in a nutshell is how you add your Comments to YouTube with the Google+ YouTube Comments system. After watching your video YouTube Comments Part1 – How To Add YouTube Comments With Google+ I still can’t post a comment. I’m using firefox. I have a google+ account. I have popups allowed for youtube.com google.com plus.google.com. When I click in the comment box, a popup window appears for 1/2 second then goes away. That’s very unusual to have that if you have a Google+ account attached to your YouTube Channel. Have you tried it with Chrome or another browser? 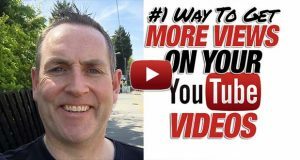 You need to follow the videos on this site for getting views and also what YouTube are looking for on your site. Hello David, your videos on the complexities of youtube are wonderful but Google still has me confused. I studied your video to change the display name on my youtube channel and set about the task. Started my channel a couple of years ago before Google took it over, when they did I was asked over and over if I wanted a name other than sw38357. I finally gave in and went with Jeff Welderman (afraid to use my last name) then I opened a Google+ account with Jeff Sagerman (real name) and wanted to change the display name from Jeff Welderman to Jeff Sagerman. I disconnected from Google+ and started the procedure to change display name. All went as your video showed but now when I go to “advanced” to pick a better name all I get is the message “YouTube is updating your channel”. This is several hours now. Is this normal? All I want is for my display name to show as Jeff Sagerman. I figure the URL can stay as sw38357 or I can change it later as you show in the appropriate video. Thoughts on this? I cannot comment on your channel because YouTube prompts me to connect with Google+ and you instruct us to pick Google+ page. Ok, it’s not normal for your Channel to have “YouTube is updating your channel” on there. Have you had a look since? No, you can’t change your Channel URL once it’s set up, so that will definitely stay the way it is. very nice post, i certainly love this web site, keep on it David. I really like your writing style, good information, regards for adding this post.